The 7.0 Magnitude, January 12th, 2010 Earthquake in Haiti was followed by 53 aftershocks measuring a 4.5 or greater within 12 days. Up to 220,000 people died and around 1.5 million to 1.8 million were left homeless. The government of Haiti also estimated that 250,000 residences and 30,000 commercial buildings collapsed or were severely damaged. Can you imagine the struggles the Haitian people have had, and still face, as they work to rebuild not only their homes and lives but their economy too? The latest news in Haiti is that, amidst the rubble, cholera and civil unrest, there are small islands of prosperity and stability -- artisan villages that have had steady work since July 2010, producing high-quality crafts for the Heart of Haiti, a trade not aid project. In a partnership with the artisans of Haiti, Macy's, The Clinton Bush Haiti Fund and Fairwinds Trading, Haitians are being put back to work through sustainable projects making colorful and intricate pieces of art ranging from picture frames to vases and jewelry. Haiti has always been full of colorful and beautiful art created by Her people. 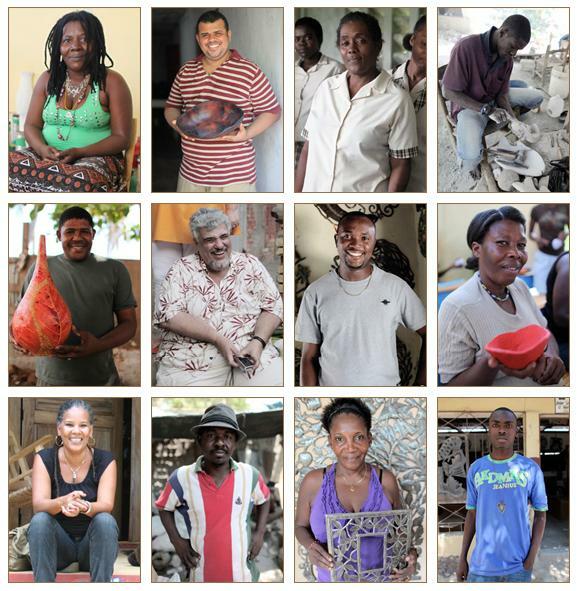 Now, more than 400 of the artisans that make the handcrafted indigenous pieces that are perfect for gift giving or keeping to enjoy yourself, are employed full time, with income reaching over 4,000 Haitian citizens. Since July of 2010, the Heart of Haiti project has been helping the Haitian citizens create a future through trade not aid. These days the sounds of hammering can be heard through the village of Croix-des-Bouquets as artisans work from their homes and workshops to make hand-cut, beautifully detailed metal frames. Women in the slum of Cité Soleil, sit in clean surroundings, sewing patchwork quilts to which they proudly embroider their names. In the Seaside village of Jacmel, colorful Paper Mache vases are lined up on sidewalks and rooftops to dry in the sun, ready to be shipped to the US. • The Clinton Bush Haiti Fund provides needed money for the artists to rebuild their studios to make the orders. • Fairwinds Trading guides the Haitian artisans by helping with market-design, logistics and electronic-data-interface and importing the products to the US. Fairwinds, founded by lifelong artist and activist, Willa Shalit, has invested more than $100,000 in product development and systems. • Macy's Departments stores markets and sell the products at retail and artisans receive half of the wholesale price for each item sold. Much to my delight, the folks at Macy's Heart of Haiti project kindly offered to let me choose one of the following hand crafted Haitian artisan gifts. I chose the Horn Stretch Dark and Light bracelet and I couldn't be happier. 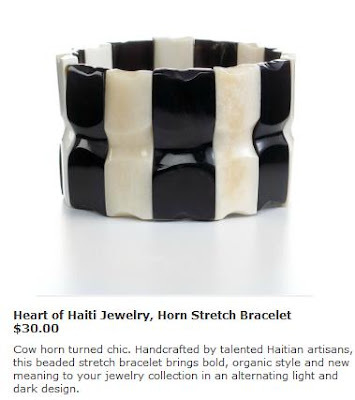 This Heart of Haiti Black and White bracelet is handmade in Calla, Haiti from sustainable horn and bone. It came with a small tag attached that explained the bracelet represents the darkness and light in all of our lives creating a balanced circle of life. Although by itself it is a bad little bracelet and it lends itself to an edgy, bold fashion fun feel, remember it is a delicate, hand made piece. So tell me if you don't think this bracelet would make the perfect gift for someone you care about...or for yourself. Right? Experiment and try adding a little bling by stacking it with some of your sparkly bracelets to really rock it. 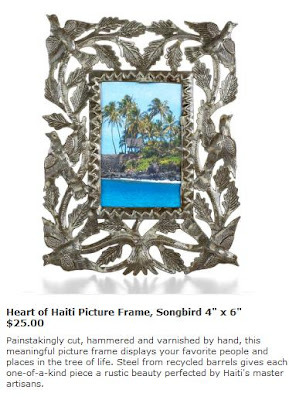 And talk about rockin' it, remember also that income from the purchase of this gift, and all of Macy's Heart of Haiti pieces, enhances an artisan family's nutrition, educates children, and brings access to health care and dignity. Be sure to follow Heart of Haiti on Twitter at @heartofhaiti and connect with them on Facebook. They are really creative and find new ways to introduce you to the artisans, their products and their lives. I think that is one of the things I love most about Macy's Heart of Haiti project, getting to know the people behind the hand crafted, sustainable gifts who are working hard to help themselves with the help of all of us. Shopping online at Macy's (or in selected stores) for Heart of Haiti pieces, which are rooted in tradition and full of meaning, helps put the power to rebuild in the hands of the Haitian people. 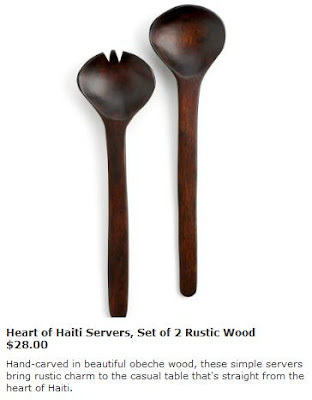 Shop all of the Macy's Heart of Haiti gifts online to support the Heart of Haiti with Trade Not Aid. And it would be awesome if you could take a moment and use the buttons above to easily share this post with your friends on Facebook and Twitter! Together, we can help our brothers and sister of Haiti rebuild their lives.